Yay… that’s what RE7 needed. Action. Oh, spoilers, obviously. 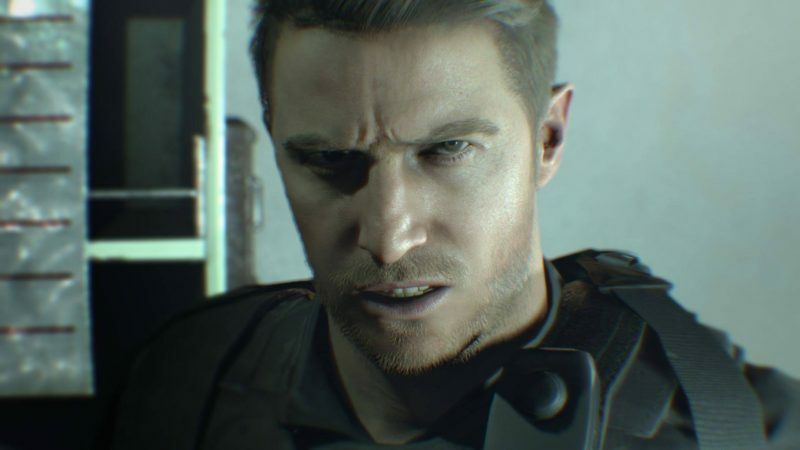 So yeah, about a week ago some information leaked onto NeoGaf regarding Resident Evil 7′s upcoming Not A Hero DLC, which will be starring ‘Chris’ from the ending of the main game. I’ve been looking forward to it, as (and I assume I’m not alone here) I desperately want answers as to who the hell this person is, and what’s up with the seemingly returned Umbrella Corporation. Well, I’m slightly less excited for the experience itself now, as the NeoGaf leaks point to the DLC being not only action heavy, but kind of silly too. In an RE5/6 kind of way. I thought we were past all that. But hey, some of the information is actually pretty awesome sounding, so fingers crossed. While it is still prudent to point out that this leak should be taken with a grain of salt, we actually have it on good authority from an anonymous source of our own that this stuff is legit. So take that for what you will. -There are at least two new types of Molded, one has pores which emit a toxic gas. Not only damages Chris, but also any regular Molded turn red and become more aggressive and powerful who end up in the gas. There’s also smaller Molded who are obviously inspired by the Face Hugger from Alien. The first sounds a lot like the Lepotica from Resident Evil 6, although with the added ability to ‘Crimson Head’ any nearby Molded. That’s neat sounding. Smaller, Face Hugger molded sounds neat, too. There have been creatures in RE that worked similar before, like the little parasitic G thingies in RE2, or the Sliding Worms in RE3. -Chris wears an Umbrella Tech suit, upgrades with steroids (yes really) rather than regularly healing with herbs, and yes, can punch enemies. -The DLC was developed by a third party studio, but Capcom wasn’t happy with the quality it came out in so they’re reworking the levels to be of higher quality, so don’t take some elements in the DLC in the files to be finalized. Huh. I’m kind of surprised by this one. Seems strange that Capcom would place a piece of the story (that seems like it’s going to be super important to understanding the rest of RE7) in someone else’s hands. Hopefully, their problems with the quality aren’t the reason the DLC is free. -You go rescuing your comrades from three trap dungeons that Lucas prepared and caught fellow operatives in. Wow, this DLC sounds a lot lengthier than I was expecting. -There is a unique boss battle in the DLC. There go my dreams of Lucas in RE8. Oh well. Obviously, this isn’t 100% confirmed to be a fight with Lucas, and he might not even necessarily die in a fight either, but RE7 did pretty obviously leave his character open for the future. 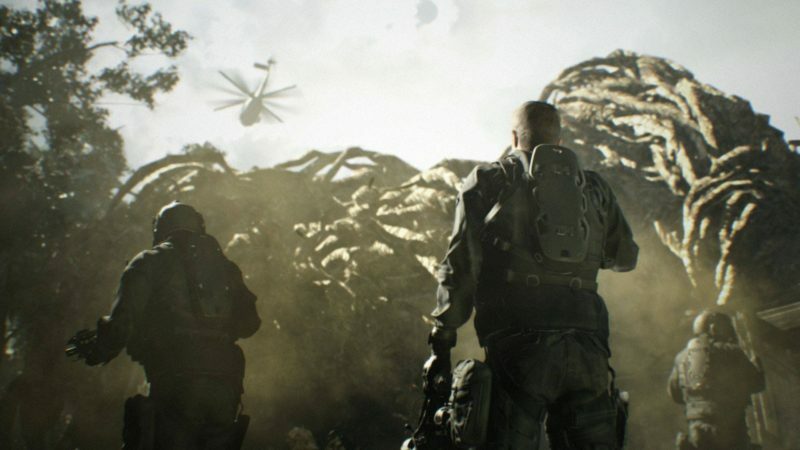 -This DLC is action-based while the last DLC from the Season Pass is being developed by the people who worked on RE7 with a horror focus and an interesting director. Thar she blows. At least the action is just a part of this one particular DLC, and not something that got bolted onto the main game. As for the third Season Pass DLC, horror focus, interesting director? The rumor mill points to this person being alumni from P.T. : Silent Hills, which would be a very interesting crossover. This could have been why the DLC was added onto the season pass after the fact; perhaps Capcom signed this person on at the last second to create something new. 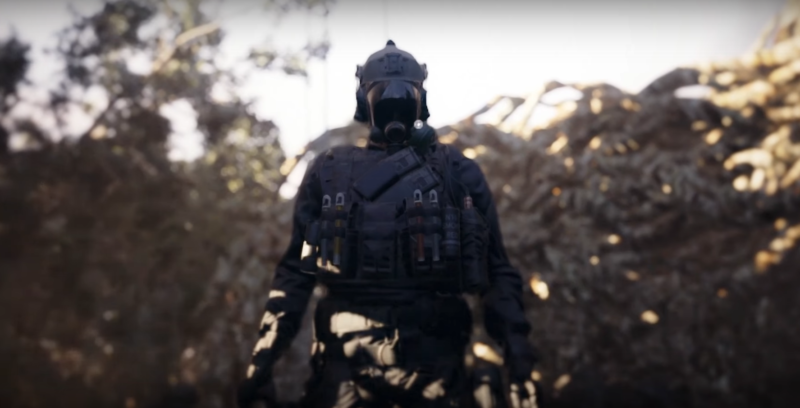 We don’t have much longer to wait for Not A Hero, although we don’t know exactly when. The best we’ve been given is a vague “Spring” date, which could be a week from now, it could be three months from now. Either way, this is very interesting to hear; fingers crossed that the action focus doesn’t bleed over into Umbrella Corps./Revelations kind of stupidity. We’ll see.